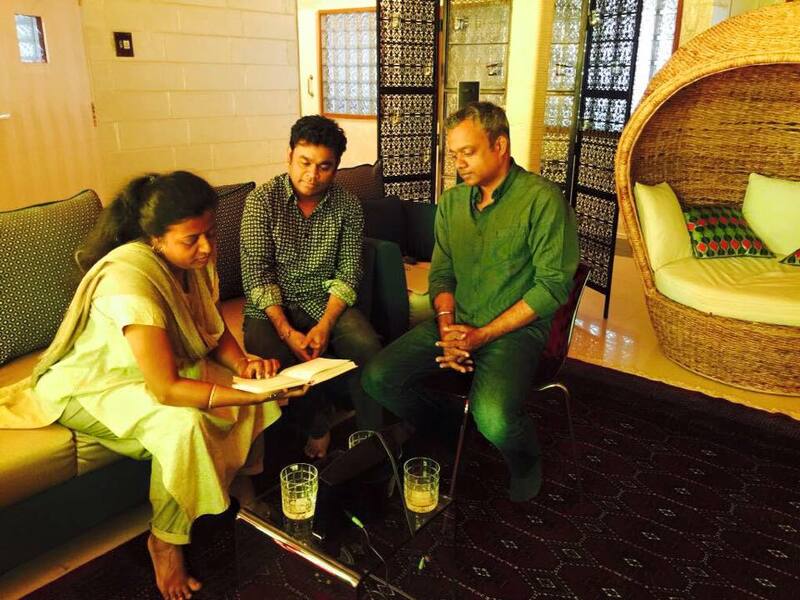 Gautham Menon is making fast moves for his delayed Simbu's Achcham Enbadhu Madamaiyada. The ace filmmaker has once again teamed with his Vinnai Thaandi Varuvaaya mates including AR Rahmana and lyricist Thamarai. Apparently, Gautham Menon has confirmed the reports sharing: "work in progress towards more music for all those driven in life by music, like myself..", along a pic in his verified Twitter account. VTV Telugu version 'Ye Maya Chesave' actor Naga Chaitanya will play the lead role in the Telugu version of 'Achcham Enbadhu Madamaiyada'. Malayalam actress Manjima Mohan is making her Tamil as well as Telugu debut with this film.